The Toronto Real Estate Board announced that despite a decline in the number of condominium apartments listed for rent in the second quarter of 2016, the number of condo apartments rented remained similar on a year-over-year basis – down by only 2.7% compared to the second quarter of 2015. Investor-held condo apartments remained an important component of the overall rental supply in the GTA. The average one-bedroom condominium apartment rent was $1,710 per month in the second quarter – up by 6.4% compared to the same period in 2015. 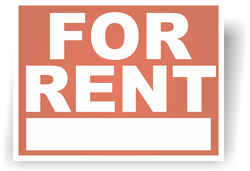 The average two-bedroom rent was up by 4.1% year-over-year to $2,330. Year-to-date, total condominium apartment completions in the GTA were down compared to the same period in 2015. This contributed to the decline in the number of apartments listed for rent. However, the number of rental transactions remained similar to last year, suggesting that competition between renters increased, leading to strong growth in average rents.